Twenty years ago back in grad school, I remember watching Roger & Me, Michael Moore’s moving 1989 American documentary about Flint, MI and the decline of the American auto industry. When I think about how much has changed in that time, my head nearly explodes. I often reflect that, in the years since the Internet—and technology in general—have exploded. In the process, some people have benefited immensely. Silicon Valley has certainly anointed New Kings, to borrow a phrase from the just-released Marillion song. To be sure, though, many others have been left behind. And, if you’ve been paying attention to the news over the past year, Flint residents have had salt poured in their wounds in the form of a terrible water crisis. Fixing Flint’s water supply will be neither quick nor cheap, but the larger question is, How can we prevent the next disaster? While there may be no simple answers, perhaps part of the solution lies in technology. The IoT is coming and we can only begin to imagine how it can benefit humanity. Specifically, what if there were a way to automatically monitor water supplies for levels of lead, and other toxic materials and pollutants? I’m not just talking about sending inspectors to conduct manual tests at regular intervals. I’m talking about instantly gathering data to alert public officials and regulatory agencies the moment that something untoward is taking place. Exhibit A: Sensors are helping farmers increase their crop yields. As Libelium has discovered, there’s no reason that the same sensor fundamental technology cannot work with water supplies. Exhibit B: The city of Boston is quickly identifying and fixing potholes thanks to a smartphone app launched in July 2012. StreetBump runs in the background and requires nothing more than a download. Uses such as these fall under the much-hyped umbrella of the Internet of Things (IoT). I’ll be the first to admit that we’re not there yet. What’s more, today formidable impediments remain to achieving this dream—specifically, the adoption of common, industry-wide standards. Make no mistake, though: the IoT is coming and we can only begin to imagine how it can benefit humanity. We’re clearly in the first inning, but one thing is certain: Expect more examples such as these in the near future. The IoT will generate valuable, real-time data that not only can make for better, more efficient government. 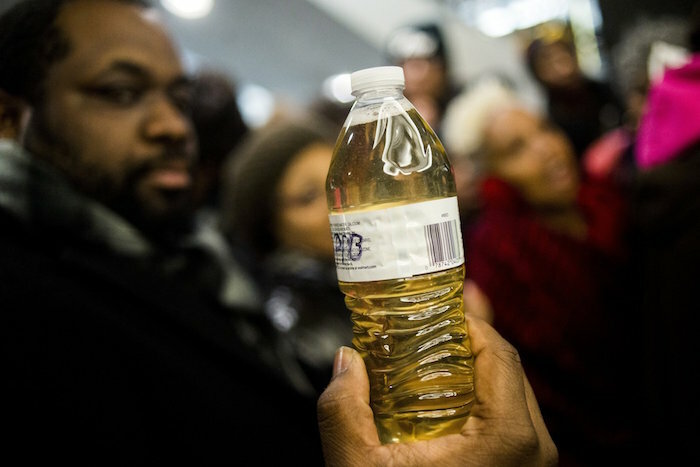 Moreover, it will reduce the odds that calamities such as Flint take place. Blog > Technology > Can the IoT prevent the next Flint?